4.2 Rich Media 3rd Party Development Requirements (for tracking multiple interactions) An ad which only clicks out is not considered Rich Media. The banner sizes below are supported. If you are unsure of what formats to provide for a campaign, please confirm with your Account Manager. Typically, it is best to provide the maximum number of sizes that match your booking in order to increase optimisation opportunities. 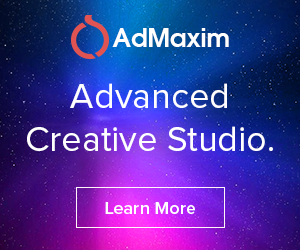 When AdMaxim are resizing existing banners for clients, we require existing banners in the source file format (for example Adobe Photoshop, Adobe Illustrator or other design software). When providing AdMaxim assets for banner design, all assets and copy must be provided in original source formats. For example, logos must be provided as editable vector images, not as exported image files and brand imagery must be provided in original high resolution format, not in lower resolution outputs. AdMaxim supports third party ad serving, impression and click tracking as well as rich media and post click conversion tracking. We can accommodate a broad variety of tracking requirements and solutions. 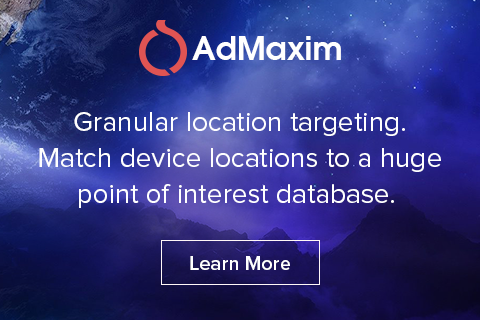 For full details on tracking capabilities for your campaign, please email your requirements to uk.clientservices@admaxim.com. Bespoke tracking implementations may take longer to implement. An HTML banner is an ad which only has a single clickout. Banners with multiple interactions would be considered Rich Banners. We can run 3 types. We can build them ourselves and provide example links for approval. We can except links to ads that will run in an iframe. We can except code that we host and then run in an iframe. We put a cover over the iframe and can set up any type of clickout and tracking requested. 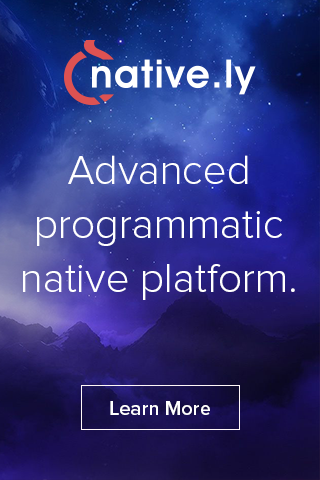 Native ads allow publishers to pull in content from an advertiser dynamically and build creative formats that are integrated with the design and content of their application. The advertiser needs to provide all the constituent elements of the ad unit and these will be pulled together dynamically according to the way the publisher has integrated the native ad placements into their application or site. Video Length 15 Seconds or under or 30 Seconds or under. Important note: For all performance video campaigns, both lengths are required. Video Dimensions Recommended dimensions are 1920×1080 or 1280×720. We can use and edit most video to be suitable. We also support vertical video. Industry Standards Supported The AdMaxim platform supports VAST 4.0 and VPAID 2.0. However, different inventory partners have different VAST support, so if the desire is to ensure maximum scale, it is best to provide VAST 2.0 tags. Companion Ads Companion ads are supported on any publishers that carry them. Not all publishers on a video campaign will be able to support companion banners. Companion banner sizes that must be provided are 300×250 and 320×480. When using text with background imagery, if there are lot of colors or elements, use subtle glows or shadowing around the text with a similar color as the background and the text will be more prominent. Refine your concept and get to the heart of your message. If you are showing products, offer only a few variations. Give the user a small sample of the best of what you are offering but save the in-depth details and products lists for your website. Avoid overloading the user with options especially if the target goal is to get them to a particular URL. Don’t add additional click outs for social media if it’s not your main goal. If a certain area of an ad opens a page to new URL, that area should be appropriately labeled. It is easy to trick a user into opening new URLs which would count as a view on that page but we think that compromises the integrity of your brand and it won’t provide the type of result or brand awareness you’re likely interested in. The combination of mobile device sizes, browser chrome dimensions, and zoom levels may very well be infinite but, they all start at the top. To ensure that your most important messaging and calls-to-action get action make sure everyone sees them at the top of your page. It is possible to create one design that will work well across the majority of mobile devices and publishers. The most requested and viewed size is for portrait orientation. While 320 x 480 px is the most requested size, since phones handle much higher resolution, the most appropriate dimensions to design for that size is 768 x 1152 px. If you have followed the earlier suggestions and kept titles/actions on near the top of the design, we can use that same design for the second most requested size 768 x 1024 px. Having only one design also offers the shortest development and QA times as well as the easiest opportunity to make additional updates later down the line. Under “Flight”, paste the tag code snippet. *To make changes, make sure to close the app simulation window. You can go back to “Flight” and test tag updates. The app simulation window needs to be created fresh every time. Rich media ads sizes are typically higher resolution than standard desktop browser ads, usually at a size of 768×1152, so source imagery or assets should be of comparable size.